What is the most important work in teams? No matter what type of team or it’s seniority, the most important work in all teams falls under one of the following three categories: Self, Team and Business. Many teams invest very little time/effort/energy on self and team, and as a result fail to realise the dividends that accrue from this investment: dividends in the form of both faster and superior business results, and higher levels of engagement and fulfilment. What about the team you lead and/or the team you are part of? 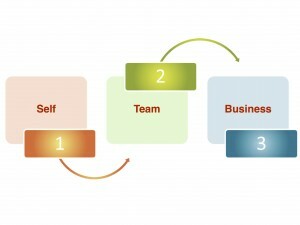 What is your team’s investment in “Self to Team to Business (STB)” ratio? What does it need to be? What can you do to influence the desired shift?